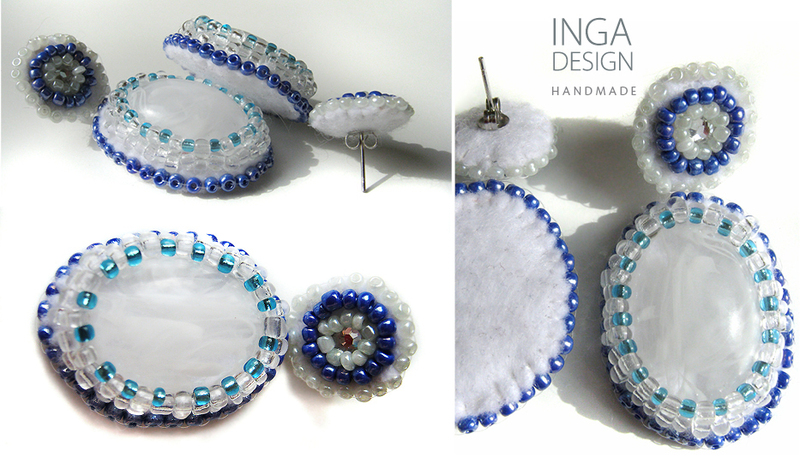 Handmade embroidered earrings "Heaven Above" with seed bead and a cabochon in the centre. Push back earring backing and felt backside. Length: 5 cm, width: 2,5 cm.